Twice a week, Making A Mark gives an insanely talented artist some IADW brag-space. Today goes Melbourne based artist Heesco, an Australian whose work I stumbled upon looking at street art, and found by exploring his gallery, that when it came to traditional flat-canvas painting, a few comically familiar faces started to appear. 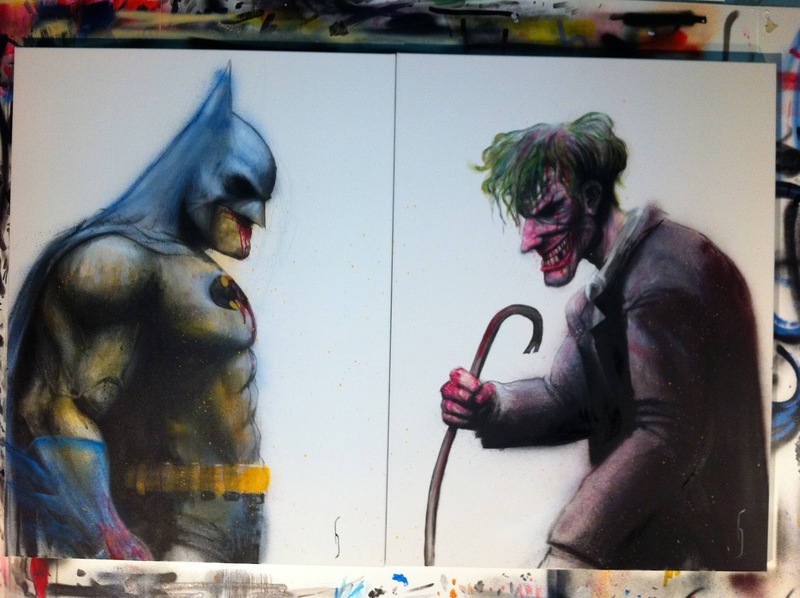 With a bit of a Simon Bisley influence, Batman and the Joker are iconic enough on their own, let alone on hot matching canvases! At first I thought of cropping the photo to the art, but I think the easel frame adds even more, in that in the midst of all the chaos, there's this clear conflict between to shades of sanity. 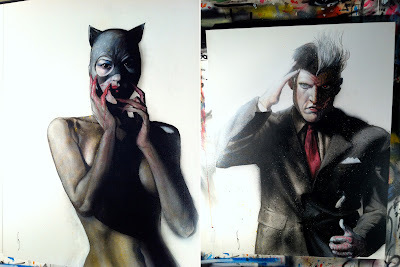 Sticking with the Gotham crowd, I dig Heesco's take on this duo. Firstly, Catwoman enhances her sexuality as a naked looking woman in a cat mask - with only blood-stained fingers to show this cat scratches. As for Two Face, the only time the split-suit idea has worked for me is in Paul Dini's hands. Otherwise, it detracts from the powerful visual of his face. Here, Heesco has 'good Harvey's' arm up, showing even he has a shady side. I had to end on this one. 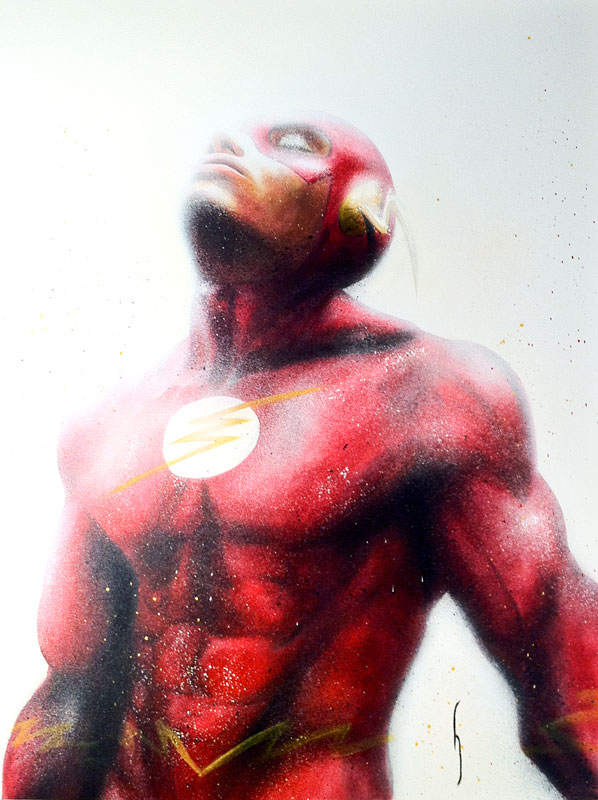 While Flash could easily be Barry Allen, Heesco's gallery includes Kyle Rayner Green Lantern, so I'm betting this is the long lost Wally West. Anyone at DC remember him? Anyone? What do you think? Sound off below in the comments section or click here for more great Making A Markists. To see Heesco's other works and a whole lot more, visit his website after the jump. Oh god, you're not shitting about the Simon Bisley influence. Hell, I'd add a dash of Sam Keith as well. Nice here Dan! Hey Dale - yip that's another good call!